Married to sin : a memoir / by Darlene D. Collier, with Meredith C. McGee. Brandon, Miss. : Mose Dantzler Press, c2012. 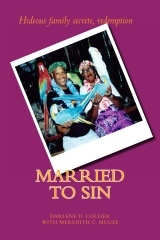 “Married to Sin” was selected for addition to the Library of Congress’ General Collections.